Starting to receive CPAP treatment for sleep apnea is a great step towards a more restorative sleep. Yet, without a comfortable mask, the effect of such treatment may be significantly reduced. So, I bet you really want to find a perfect mask for yourself. 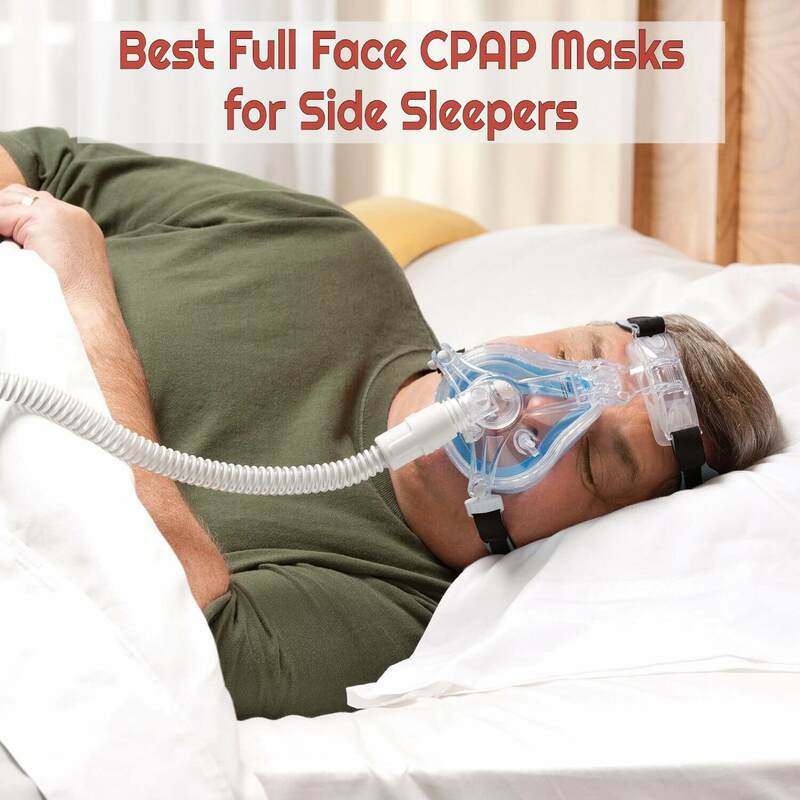 Since, according to statistics, sleeping on the side is the most common position, I have prepared reviews of 5 best full face CPAP masks for side sleepers. Also, there are some valuable pieces of information below on this type of masks and on how you can find the right one among the variety of options. Is Your Sleeping Position Really Important Here? 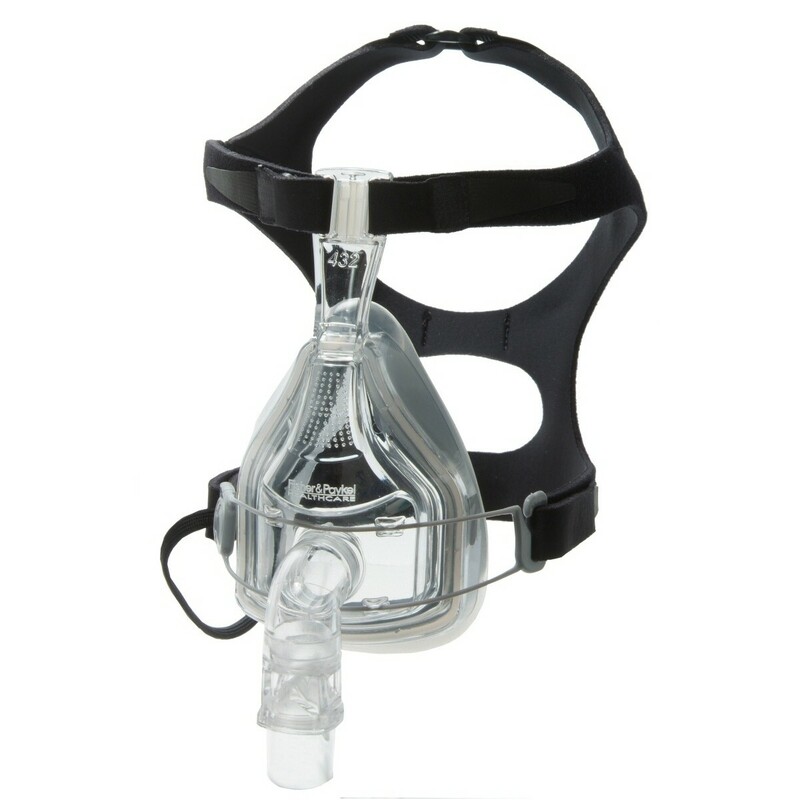 What to Consider When Shopping for a CPAP Mask for Side Sleepers? 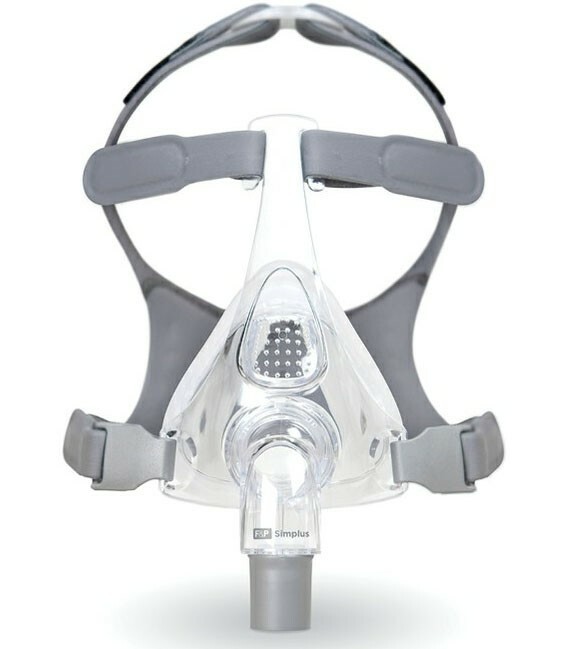 The first item on my list of the best full face CPAP masks for side sleepers is offered by Philips Respironics. The Amara View is more compact and lightweight than most similar masks on the market, which makes it a perfect pick for a side sleeper. What makes this mask stand out among competitors is the open vision design and the absence of the forehead support. This allows you to use the mask conveniently when watching TV, reading or doing any other activities that require a field of vision before bedtime. The biggest flaw of this mask is the positioning of the exhaust outlets. See, the manufacturer has placed them on top of the frame so that the exhaust air blows up towards your eyes. This can cause you to wake up constantly or make your eyes dry and irritated if you manage to stay asleep through the night. The best thing about the Amara View is that it’s designed to fight one of the most common issues with full face masks — red marks on the face. It just doesn’t go over your nose, preventing the cushion from pressing onto the bridge of your nose (which is what results in those ugly marks). 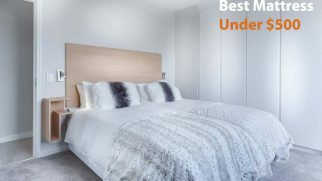 Although the Amara View does come with a few annoyances, it has a number of great features each side sleeper can benefit from. This mask by Fisher & Paykel is one of the top-rated full face masks for side sleepers for many reasons. But the main of them is its ability to provide a secure seal and stay in the same position even when the wearer tosses from one side to another. Thanks to the silicone cushion, the Simplus doesn’t make your face sore. The headgear is easy to adjust to different facial contours, which allows the mask to fit very snugly. It’s especially comfortable for people with facial hair. The one major flaw I found is important for those who use their CPAP machine on higher pressure settings. You see, the Simplus keeps a perfect seal with the average pressure, which is between 6 and 14. But it may start leaking when the pressure is higher than 14. What I liked about this mask is its low-key profile that offers a good field of vision. Plus, such a minimal design makes it easy to take the mask apart for cleaning. Overall, the Simplus can work for any side sleeper who uses lower machine settings. It fits very well and creates a great seal, which makes it one of the best CPAP mask for beards. The next item on my list of the top-rated full face CPAP masks for side sleepers looks really bulky. Don’t believe your eyes, though — it feels much lighter than it looks. But that’s not why it has made it to this list. 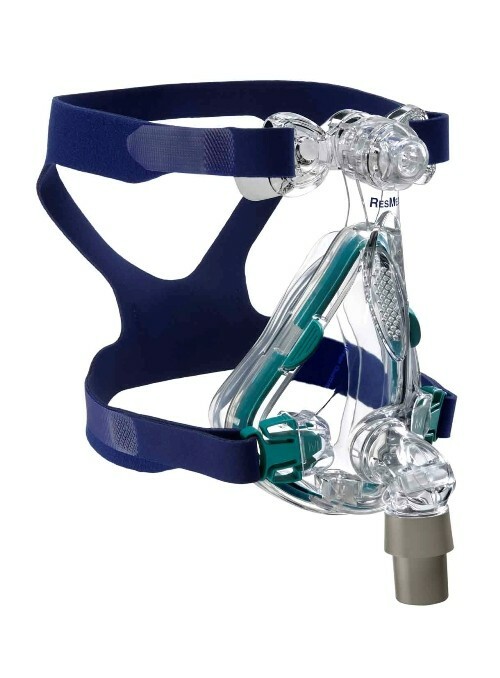 The Mirage Quattro is one of the most adjustable full face CPAP masks for side sleepers. It comes with an adjustment dial on the forehead part, which allows the wearer to regulate the seal without taking the mask off. Plus, in addition to three standard sizes, this model is available in the XS size too, so it may be a good choice for women and men with smaller faces. What I don’t like about this mask is the price. It seems a little bit overpriced for the number of features ResMed has packed it with. Especially considering the fact that it may leak when the pressure settings are higher than average. Now, the biggest advantage of this mask is how quiet it is. Indeed, most similar models have very small air vents that tend to produce annoying sounds, which might disturb you and your partner. However, it’s not the case with the Mirage Quattro. This CPAP mask is able to provide a stable seal even if you toss and turn throughout the night. 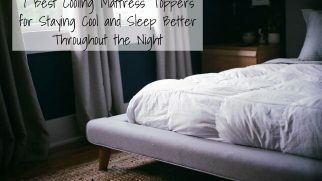 This makes it a good pick for any active side sleeper. Another item by Respironics, the ComfortGel is on this list of the best CPAP masks for side sleepers thanks to the value for money it offers. It doesn’t require frequent re-positioning, disperses air rather quietly, and prevents soreness. And all of that comes at a very affordable price. The model is called Comfortgel for a reason. The gel cushion — along with a silicone membrane over it — is responsible for creating a good seal, which makes this mask very comfortable to wear and sleep in. This cushion feels soft to the skin and prevents red marks on the bridge of your nose and in other areas. However, the most significant drawback is that this mask may leak. It seems that it’s not as flexible as some of the more expensive models (hence the lower price), so it might fail to adjust to your specific facial contours (which is why leaks happen). The coolest thing about this model by Respironics is, obviously, affordability. Costing just a bit more than $100, this mask can become an effective part of your CPAP therapy. Despite some leakage issues, the ComfortGel by Respironics is a decent product. When it does fit and create a tight seal, it’s a great deal for the price. The last model in this selection of the most highly rated full face CPAP masks for side sleepers is another model by Fisher & Paykel. And it can work not only as a mask. It’s designed to keep your jaw from opening, so it functions as a chin strap too. Now, what makes this product particularly suited for side sleepers is the strap design. At first glance, it looks like a regular headgear. 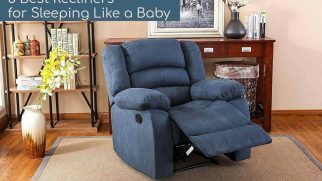 But see how it is attached to the frame — it uses a glider design that prevents leaks when you move your head. The biggest flaw of this mask is its design makes cleaning quite a hustle. Firstly, it requires you to disassemble it fully in order to clean the frame and the cushion. Secondly, some areas are hard to reach to wash them thoroughly, even when the mask is disassembled. Now, most of all, I loved how this model holds your jaw in place and keeps you from opening your mouth. I’m sure many users will find this feature very helpful. Especially considering the price that this mask comes at. Overall, the FlixiFit 431 is a well-made and comfortable mask. Considering the fact that it can also work as a chin strap, it’s a two-in-one deal! A full face mask, in fact, doesn’t cover your face completely. That’s what total face masks do. Instead, it covers both mouth and nose, allowing the wearer to breathe either through one of them or through both. That’s why it’s a common choice for people who can’t breathe through their nose — be it due to chronic sinus issues or due to congestions caused by cold and allergies — as well as for those who tend to sleep with their mouth open. Frame. It is the core of the mask, which defines how your mask sits and feels on your face. Cushion. Being attached to the frame, the cushion prevents the frame from leaving marks on your face. It’s also one of the main components responsible for creating an airtight seal around your mouth and nose. So, if you notice leaks, your cushion is very likely the one to blame. 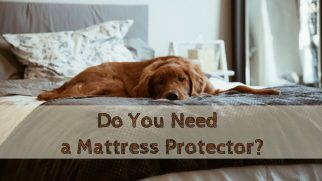 Most cushions are made of silicone, but you may come across foam or gel ones too. Elbow or swivel. Either of these can be used to connect your CPAP machine’s hose to your mask’s frame. They allow the hose to move freely along with your head’s moving during sleep. Headgear. Another element defining the seal, headgear is how you refer to all the straps used to hold your mask on your face. Depending on the mask’s design, the straps may wrap around the jaw, above the ears, and/or around the forehead. In the case of the latter, an extra pad (also known as forehead support) might be used to create some space between the straps and your skin to avoid irritation and minimize marks. Clips. These serve to secure the headgear to the mask. In some models of masks, the joining mechanism is designed as buckles or hook-and-loop fasteners rather than clips. Most CPAP machines are compatible with any type of a CPAP mask. Thus, your choice comes down to your budget and personal comfort. Concerning the latter, your healthcare provider should be able to give you the most precise recommendations. Some masks may be comfortable when you’re lying on your back but may start slipping and moving once you turn to your side or stomach. 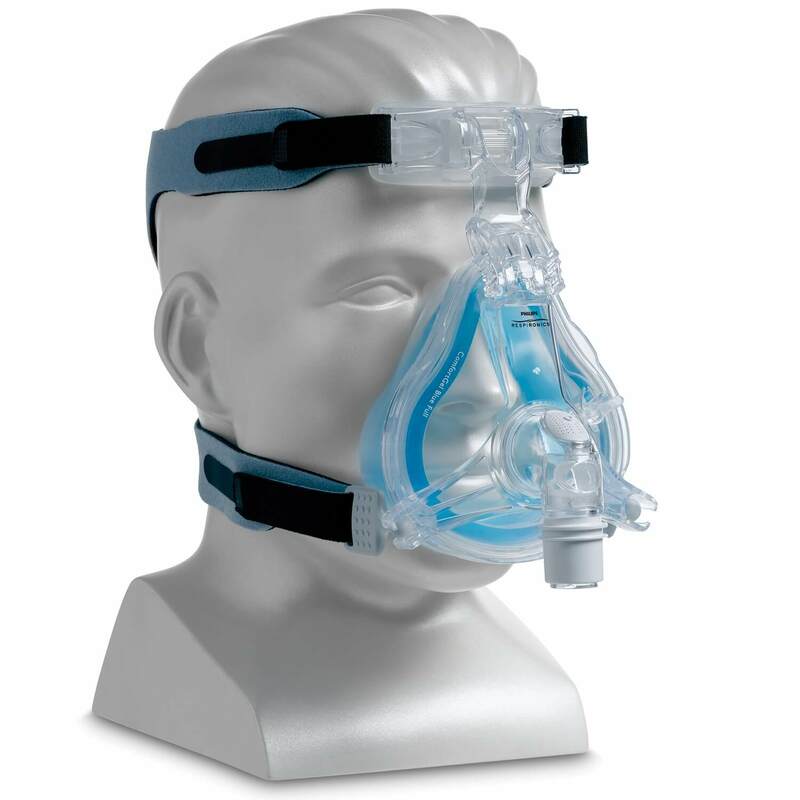 Generally, side sleepers are advised to go with something less bulky than a regular full face CPAP mask. For example, a nasal cradle or a nasal pillow. leaves slight marks that disappear very quickly or doesn’t leave marks at all. Full face masks are more prone to air leaking, as they have a larger contact area and have to fit more facial structures. If you wake up with irritated eyes, chances are your mask leaks at its top part, allowing the compressed air to affect your eyes. 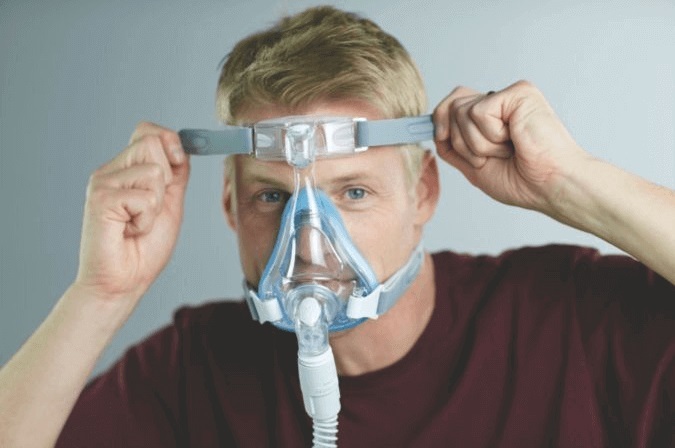 Now, although side sleepers may have some problems with finding the right mask, they actually are in a more beneficial position than back sleepers when it comes to sleep apnea. Research has found that side sleeping reduces sleep apnea. You see, in this position, gravity helps clear the airway in your throat instead of preventing it, as it happens with back sleepers. before dozing off, always make sure the arm you lie on is comfortable. Nasal pillows, despite being the most suitable option for side sleepers, might not work for patients who need high-pressure CPAP therapy. This explains why many people sleeping on their side end up using a bulkier, more confining full face mask. Budget. The price of a full face mask often depends on whether the product comes as a mask only or as a complete kit with headgear. The lowest price you may find would probably be around $60, and it can go as high as $200. Size. Small, medium and large are the three sizes all masks are available in. Rare models may have an XS option too. Also, some manufacturers produce special ‘for him’ and ‘for her’ designs to fit larger male and smaller female facial contours correspondently. Headgear and closures. Concerning the size of the headgear, you should note that it may correspond to the size of the mask or be the same regardless of it. This varies from model to model. It’s also important to pay attention to how the headgear is secured and whether it can be easily adjusted. Forehead support. It is present in most full face CPAP masks and is mostly made of gel or silicone. But note that it restricts your vision and might not be an option for people wearing glasses. Cushion. The material options, as it’s been mentioned above, are silicone, gel, and foam. Your choice should be based on your personal preference here. Keep in mind, though, that any cushion tends to wear out pretty quickly, so you definitely want to get a mask with a replaceable one. Pressure settings. Generally, full face CPAP masks can be used with all pressure settings, but it is still a good idea to inquire your physician about that. Return and warranty. Due to this product’s specifics, there’s always a chance that your chosen mask won’t fit your face snugly and comfortably, so asking the seller about return conditions is highly recommended. The warranty is important too. However, many CPAP masks are not covered by any warranty. Most people who have mask claustrophobia prefer nasal masks over full face ones. If you have this phobia, too, but still want to wear a full face CPAP mask, you may consult your physician about possible desensitization techniques you can use to reduce your phobia. A good CPAP machine is literally worthless without a good CPAP mask. And finding a CPAP mask that will fit a side sleeper can be a real challenge. 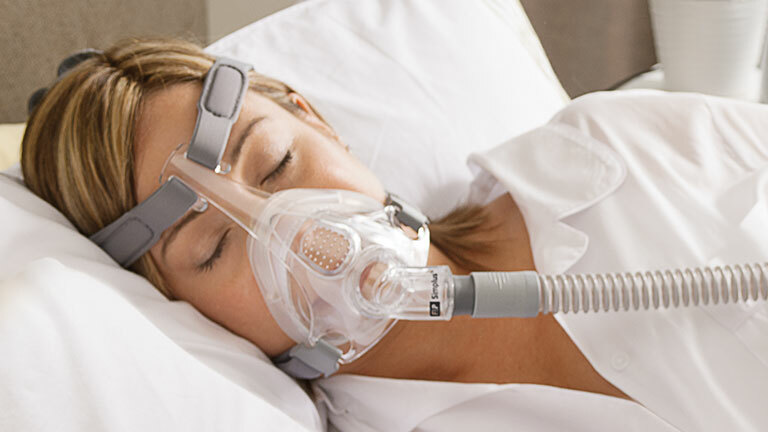 Hopefully, with this guide and mask reviews, you will be able to make the most of your sleep apnea therapy. 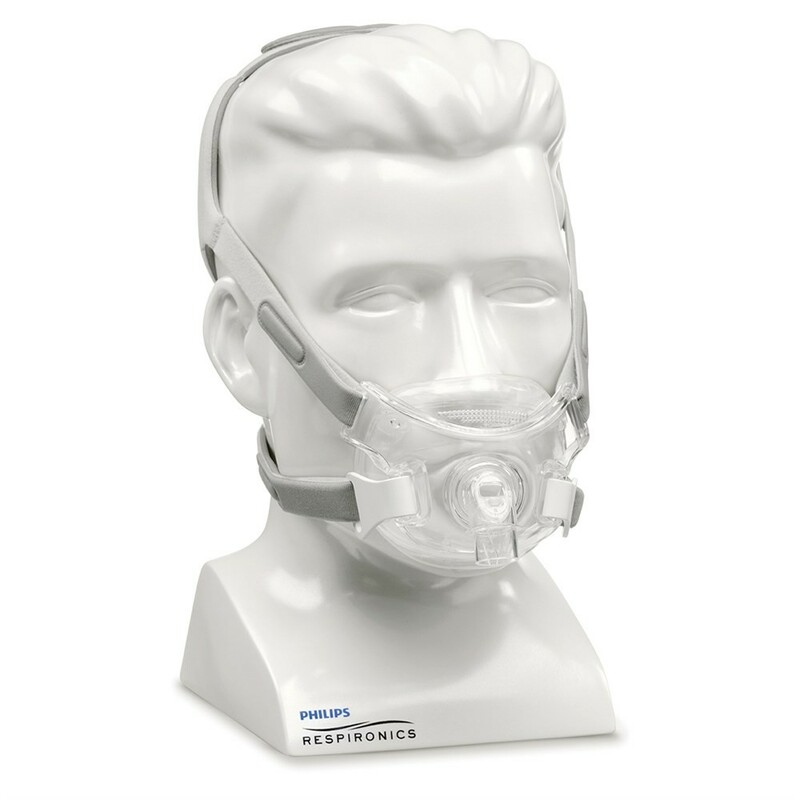 If you want a durable mask that will work effectively, sit snugly, and make no noise, try the ResMed Mirage Quattro. It is very flexible and easy to adjust, so it fits most users. In case you are limited in a budget but still want a good mask that will fit without causing discomfort, consider the Fisher & Paykel FlexiFit 431. It is very affordable yet functional. How long have you been using CPAP therapy and how many masks have you already tried? Please share in the comment section down below!